The Fill window provides detailed exchange-confirmed information about the current day’s trades, and shows the user’s net position and P&L based on those trades. To open the Fill Window from the Control Panel, click the icon. 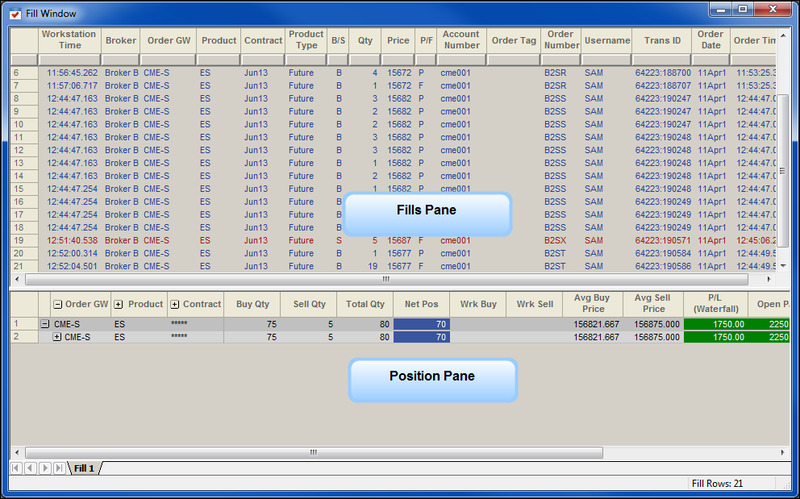 Fills Pane: Displays the exchange-confirmed data about a trade. Position Pane: Provides net position information by product and contract. Profit/Loss (P/L) calculates using confirmed fills.